Admittedly, we are a little dizzy after watching this video, but it still ranks up there with some of the cutest stuff we’ve seen. You know how usually it’s the adult who does the hiding and the peeking? Yeah, this toddler is way advanced. She’s playing peekaboo with her mom and dad and not the other way around — let’s be clear about that. And, to add insult to injury, this toddler is multitasking! 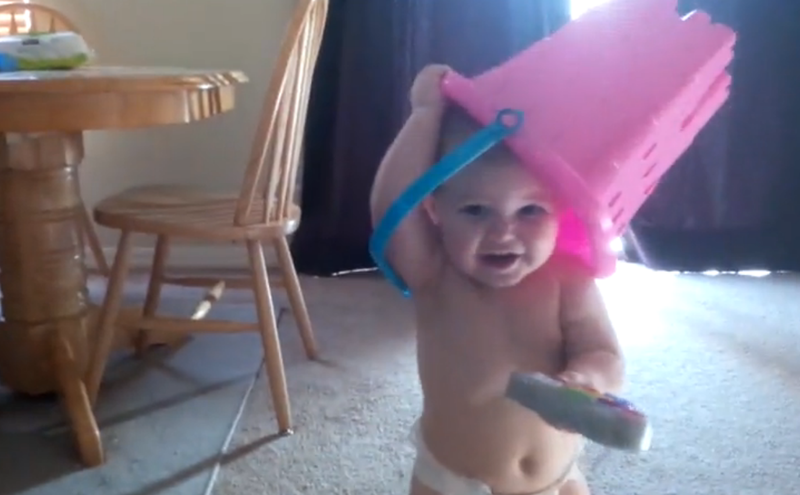 Not only is she playing peekaboo with maximum dexterity (amazing wrist-flip action when she takes the bucket off her head), but she’s playing with that little gray accessory of hers at the same time. Based solely on this video, we can tell that this toddler is destined for great things — you heard it here first.